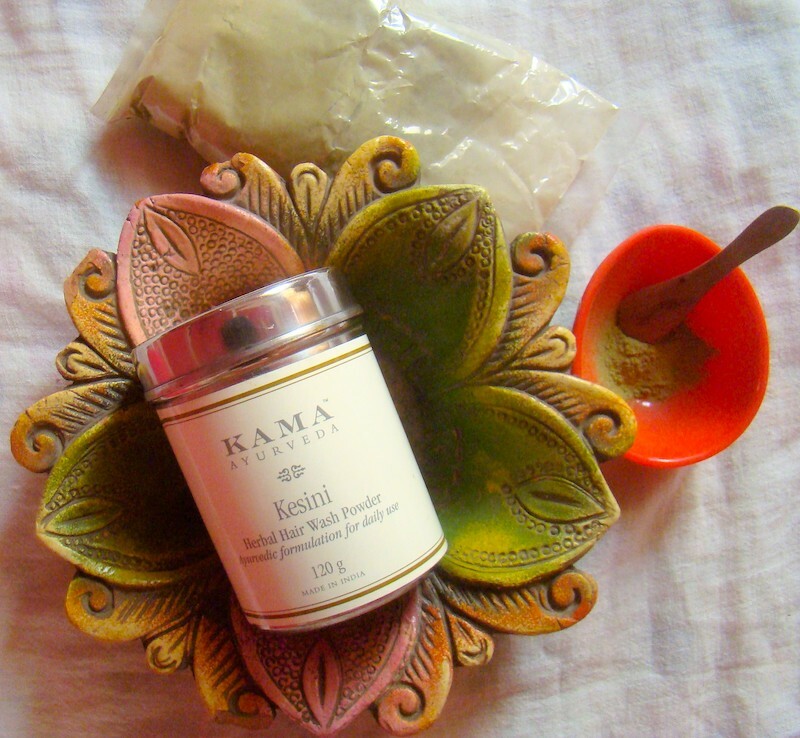 When it comes to using 100% organic products, Kama Ayurveda is one of the brands I trust. I have used a couple of products from the brand and have liked most of them. Coming to the hair care products, I have tried using the Kama Ayurveda Rose & Jasmine Hair Cleanser and Conditioner and have been loving it. I have also tried the Kama Ayurveda Lavender Patchouli Hair Cleanser and Conditioner, but I like the former one more. 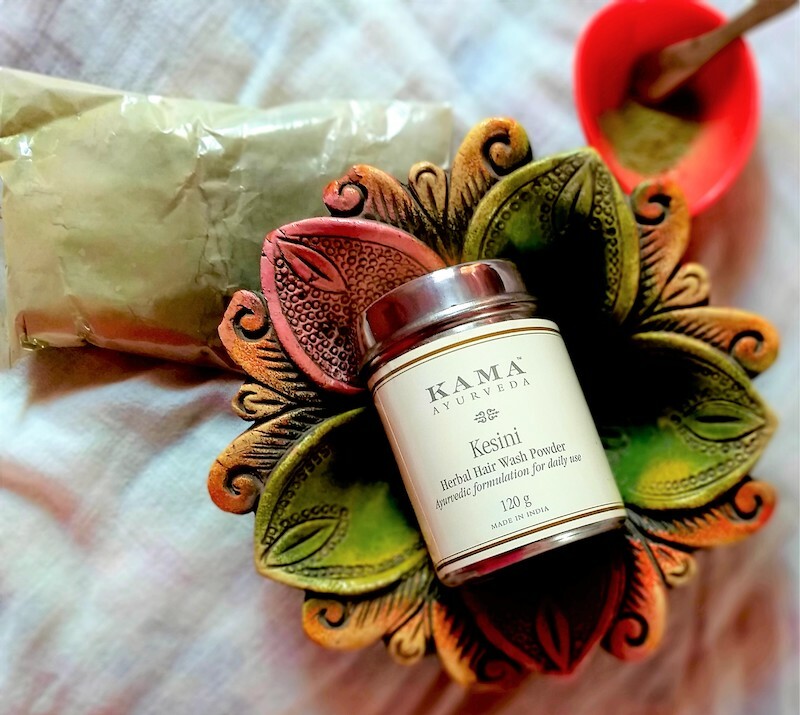 Since I had tried both these launches, I wanted to try a few more haircare products and thought of giving the Kama Ayurveda Kesini Ayurvedic Herbal Hair Wash Powder a try. A pure Ayurvedic cleanser made with unique blend of herbs to keep hair luxuriant and glossy. Blended with Tulsi, known for its anti-bacterial properties and prevents premature greying. Shikakai, a traditional cleanser for hair, is mild having a naturally low pH that doesn’t strip hair of natural oils. I have been using this hair wash powder for about a month and this is what I have experienced. Kama Ayurveda Kesini Ayurvedic Herbal Hair Wash Powder is a mild hair wash powder in which warm water must be added to make a paste. It has an ayurvedic fragrance which is not much strong and doesn’t bother. It gently cleanses hair however, it doesn’t lather much, which would be due to the natural ingredients present in it. I honestly don’t mind that. Though this cleanser doesn’t lather up much, it provides me with frizz-free hair and doesn’t dry out my already dry hair. Instead, it adds a lot of shine and bounce, which I’m always looking for in a shampoo. Also, my hair texture has been drastically improved after I started using this cleanser twice a week. My hair also feels so much healthier than before. Kama Ayurveda Kesini Ayurvedic Herbal Hair Wash Powder comes in a stainless-steel container with a wooden spoon and a good 120g quantity, which is definitely going to last for a long time. Also, it retails for ₹575, which I believe is quite worthy for the benefits it gives. I take about 3 teaspoons of the powder and mix it with approximately 30 ml of warm water. Once it forms a paste, I apply on it on my wet hair and massage in circular motions to thoroughly cleanse my hair. I frequently reach out to this cleanser whenever I feel my that my hair is dry and lacks shine and bounce. Also, it thoroughly cleanses my scalp and doesn’t irritate at all. I haven’t experienced any hairfall so that is a plus point. Since it contains Shikakai that proves to be a good cleanser and has immense benefits to hair, I love it so much! I will definitely look forward to purchasing Kama Ayurveda Kesini Ayurvedic Herbal Hair Wash Powder when I run out this one since it has been very good to my hair. I will recommend it if you’re looking for a good 100% organic and ayurvedic cleanser. CLICK HERE to buy Kama Ayurveda Kesini Ayurvedic Herbal Hair Wash Powder online.